The European Enterprise Promotion Awards (EEPA) are back for 2018, and Promoting Enterprise has the honour of presenting the first EEPA 2017 winner testimonial from Innofest – Grand Jury Prize Winner 2017. The Innofest project will be sharing their EEPA story as well as their advice for other planning to submit their projects and embark on the EEPA journey. The Dutch ministry of Economic Affairs contacted us to ask us if we were interested in joining the competition. We didn’t hesitate and joined straight away. That’s twofold. 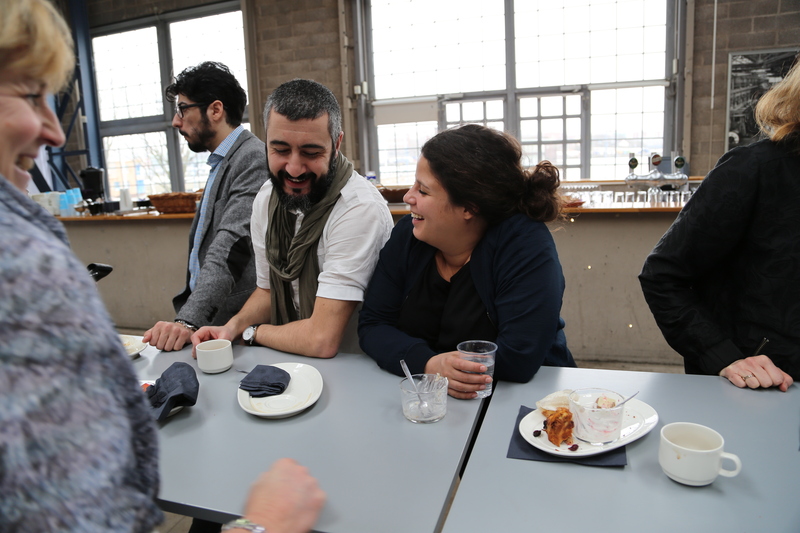 First we were having some plans to expand within the rest of the Netherlands, but also to other regions in Europe. The EEPA provided us with the opportunity to get to know other regions, but also to get in touch with policymakers and entrepreneurs throughout Europe. Secondly, we felt that after two years of learning and pioneering it was time to share the first successes with The Netherlands. We felt that EEPA and the publicity around EEPA were a great way to do that. 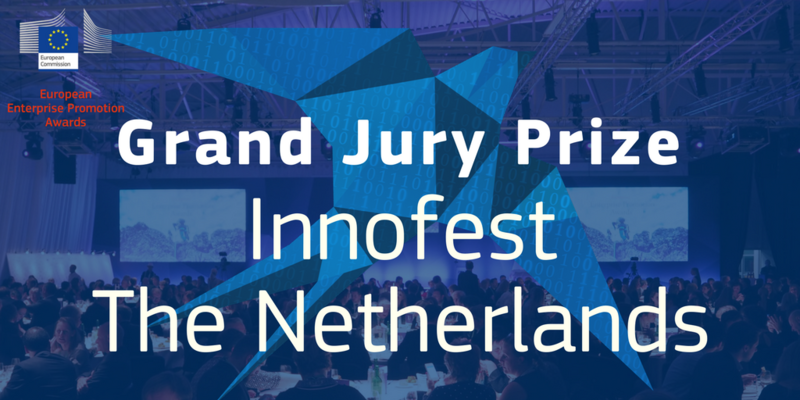 Part of our preparation involved speeding up some of the research we were doing, to make sure that we could provide the jury with accurate numbers on Innofest. We also made sure that we were ready to talk to other European regions, entrepreneurs and festivals and prepared our international strategy. Getting ready for this was very helpful, because quite a few regions contacted us in order to work with us after the EEPA. We were happy that we were well prepared and knew what we could offer them. Of course it was a surprise! 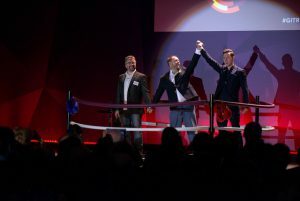 Within an impressive group of finalists which included investors programs, incubators and accelerators with a long track record, we felt like the underdog. We don’t have a long track record yet, although we have enough data to have an evidence-based method to help innovators. But still we were the new kids on the block, with a crazy new kind of entrepreneurial program, involving festivals. So for us, winning was an encouragement to keep going and support other regions to make festivals part of their innovations ecosystem. Winning had a big impact on Innofest. The media coverage was great, both locally and internationally. But the impact on our network was more important. 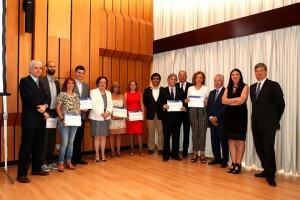 Our funders were recognised for supporting Innofest, and many new partners wanted to connect to Innofest. 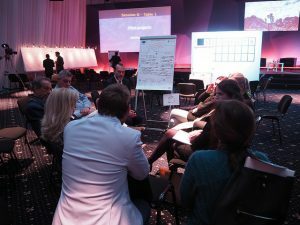 At our latest festival, Eurosonic Noorderslag in January, a delegation from Finland came to learn from Innofest and is aiming to set up their own Innofest model. We have also been contacted by other festivals and regions to join the Innofest program. The number of applicants has also increased in comparison to previous years, so it is possible that the award may have helped with that as well. EEPA has helped us to gain more brand awareness and it contributed a lot to our position in the Dutch and European start-up ecosystem. But even if we had not won, it was very helpful to get pitching experience and advice on our Innofest-proposition. One of the main reasons behind our win was that we presented a new proposition (i.e. festivals as testing grounds for innovators) to add to the entrepreneurial ecosystem. Based on this, our advice for future applicants is to make sure that you highlight why your initiative isboth effective and unique. This year we are researching how we can connect festivals on a national level to Innofest and we hope to scale up in 2019. We are also working on an international proposition to help other regions and festivals in the world set up their own Innofest model. In the future we hope to have white-label Innofests throughout the world! To find out more about Innofest, read about them right here in the 2017 compendium, and be sure to watch their winning moment from the EEPA 2017 ceremony in Tallinn here. The European Enterprise Promotion Awards (EEPA) 2016 category winner interviews are here! Find out about the story behind these successful projects, and even pick up some of their useful tips and tricks for future applicants. Today is the turn of the Grand Jury Prize, which commends the entry that the Jury considers to be ‘the most creative and inspiring entrepreneurship initiative in Europe’. 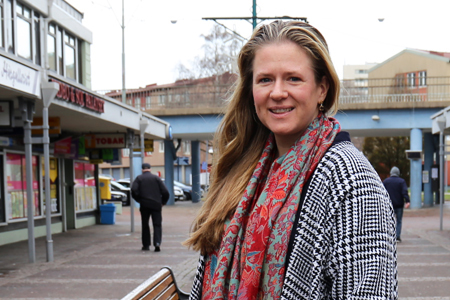 The winning project for 2016 was Entrepreneurial West Hisingen from Sweden, originally a competitor in Category 6 – Responsible and Inclusive Entrepreneurship and represented by Daniela Ölmunger in this interview, supports the city district’s reputation as a hub of opportunities and entrepreneurship. It covers three projects: Entrepreneurship in education, Start your business, and Develop your business, which provide different styles of support to various groups ranging from schoolchildren, all the way to seasoned business people. Today’s interview gives insight into how this project became an EEPA 2016 winner, what happened next and where we can expect to see them in the future. This is just the first of several interviews so stick around to find out more about the EEPA 2016 winners in the coming weeks! We first heard about the national competition from the Swedish Agency for Economical and Regional Growth, Tillväxtverket. 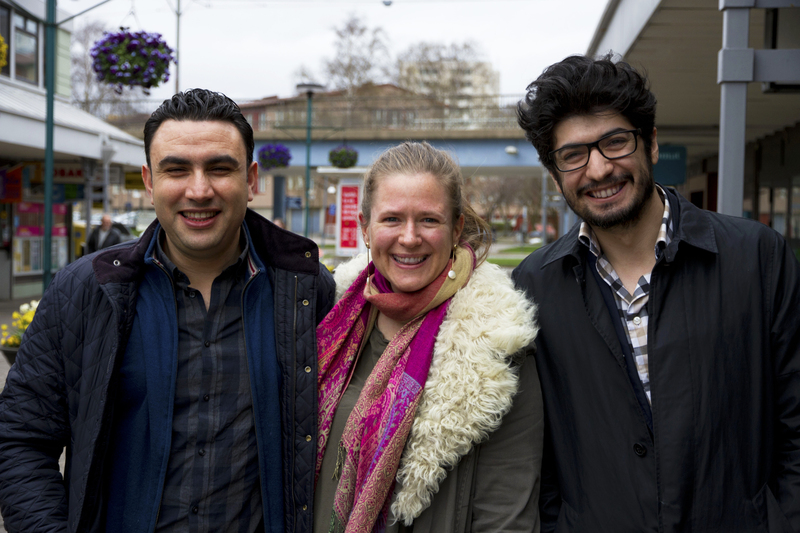 They called us and advised us to compete seeing as we were already competing for the ‘regional stars’, due to the results and lessons in the project Entrepreneurial West Hisingen. First of all I love to compete and write, I am also a project developer so I am used to working with deadlines and conducting analyses and I thought why not. It was also an honour to be asked to compete at European level, where you don’t always know what other people are doing, only that they are great projects. Well we didn’t actually know that we were nominated until quite late, but once we did we conducted a workshop to discuss the application questions, look at different aspects of the project and consult our stakeholders to gather their opinions. Competing also gives you a chance to reflect, and we knew we had really good results but this reflective period was still very useful. It was so crazy! We actually thought that we had been forgotten at first because our movie was not presented when our category was announced and then we thought that perhaps there had been an administrative mistake and that we were not actually national winners. When the Grand Jury Prize was announced I had not even thought about that category as we had all been so focused on the original category we entered, as our achievements were being read out we started to think that someone might have stolen our ideas! Once we were announced as the winners everything was a bit chaotic, I had nothing prepared for when we went up on stage, but overall it was very surprising and exciting to win. The main difference we saw was definitely in terms of political impact. Upon our return, we began receiving several visits from different parties and politicians, including the minister of finance and her team, who came for some insight and points from our project after we were first nominated. This increased political interest has led to us being more respected, and being invited to various city council groups which in turn has increased our local impact and overall our role in national political development. Winning this prize has helped us build our credibility and earned the respect of those around us in various circles. We are slightly unconventional in Swedish terms, but people now take notice of us and trust our opinions and views. Being winners has given us room to manoeuvre and the lasting impact will be that we can now stand up for and defend that room. This is important as we already have launched a new entrepreneurial project in Gothenburg – the EU-project One Stop Future Shop. I think that entering EEPA gives you a chance to reflect on what you have done with your project, which is work worth doing and not something we get much of an opportunity to do. You can’t always focus on what you did well yesterday, but the analysis is important and it gives you a chance to make your learning journey visible so that others can learn from it. You should not be scared to point out things that you learnt from and definitely take help from others, don’t do it all on your own. In our case we asked for the opinions of our stakeholders and learnt a lot from them during this fun and honouring process. Currently we are working on One Stop Future Shop, which is based on the learnings and results from Entrepreneurial West Hisingen. In this project we are already seeing substantial results. This has a lot to do with the experiences from the previous project where we have been able to sort out what the needs are and how to contribute to making a more entrepreneurial region. In the future we hope to contribute to local growth and the creation of local companies, as well as motivate people to see that they can do anything they want to in life. Future plans depend on a lot of things, I have a lot of ideas, but maybe some of them are too innovative! Watch the EEPA 2016 Grand Jury Prize Winner video here. It was a fantastic feeling. When I started this project, not many people believed that a one-person small business in Hungary could achieve the kind of change that my company has achieved. We received a lots of press coverage in Hungary and in other European countries. The major Hungarian magazines and television shows started to cover our activities, so more and more people are looking to us. We’ve had many congratulations and acknowledgments. But what I’m most proud of is that a lot of our old customers who have started their own businesses with our help also thanked us. The number of participants in our free monthly presentations has doubled and all of our courses are running to full houses. Previously, people were sceptical about starting their own business, but now they’re more open to the topic, and trust us more. We have more connections in Hungary and throughout Europe, and are working on more new projects with other organisations. I wanted to showcase our project and results at a national level. I collated all our activities and achievements from the past few years. It’s a great experience to participate in such a contest that is measured at both the national and European level. 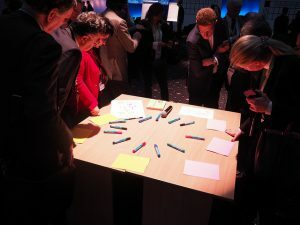 I loved the atmosphere of the event in Naples and the presentations were very helpful. But I also wish to point out that another great aspect of the competition is that the ideas of all entrants are shared in a common database, where they can help the work of organisations in other countries through the sharing of good practice. If you complete the application form and share your ideas and the results of work, you help others to promote enterprise. To find out more about Gazdagmami, visit the website or see the video. She was inspired to commence work on identifying highly impactful molecules for human health having seen a presentation on the impact of food on the neuronal, muscle and gut development of wallabies. To better understand the impact of food on health, Dr Khaldi established a brand new field of science, that of food bioinformatics at the molecular level. Dr. Khaldi will be one of the 28 entrepreneurs who will present her idea in the ‘Ideas From Europe Finals’ in Luxembourg, where the ten best ideas will be selected and will present on the Ideas from Europe stage in The Hague on 31 March 2016. Many countries held national Awards ceremonies to celebrate their national entries, below is an example from Portugal. The President of the Board of IAPMEI, Professor Miguel Cruz, chaired a Ceremony to announce the 44 national applications in Portugal in July. Promote the visibility of the entries and projects, each candidate also received a participation certificate. Announce and reward the best projects by category and the runners up. 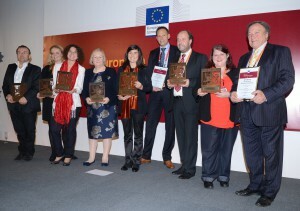 Promote and share good practice and promote the European Enterprise Promotion Awards. By joining this European Commission initiative, IAPMEI aims to promote and share “good practice”. 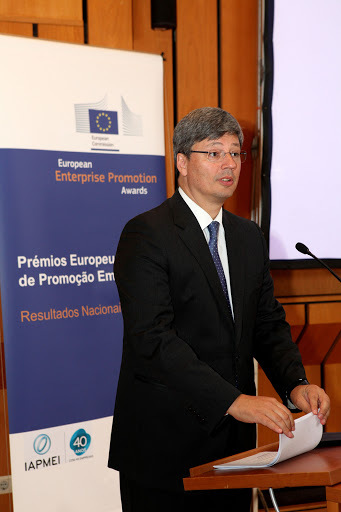 It also aims to widen the visibility of initiatives that work as drivers of entrepreneurial activity in a range of ways, demonstrating the capacity and potential which is key in helping Portugal to become a more competitive country, IAPMEI’s President said. Miguel Cruz added that due to the investment and growth challenges faced, a growth must rely on the diversification and sophistication of products and services, on markets’ diversification and on a strong trademark. The session was attended by more than 90 participants, with a large representation of EEPA candidates, and to whom certificates of participation in the “EEPA 2015” were issued. 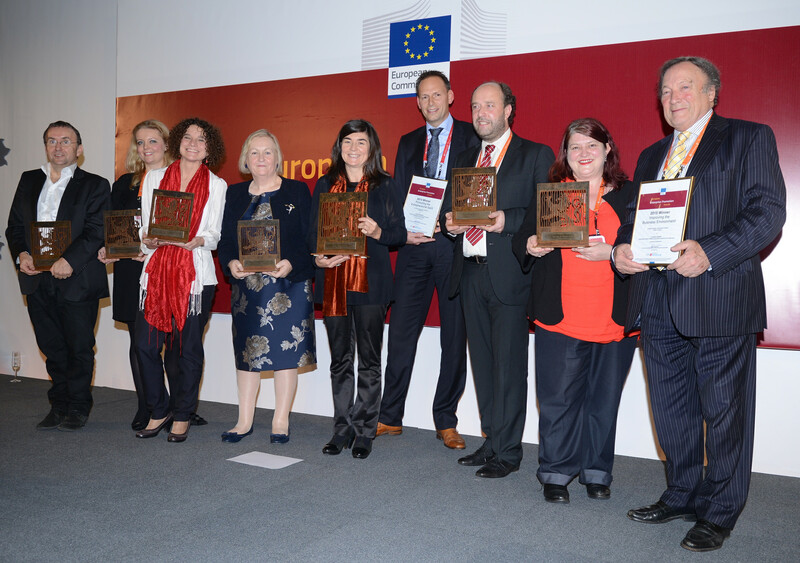 IAPMEI has been the National Coordinator for the European Enterprise Promotion Awards since its first edition (2006). Thanks to an integrated action plan, a good cooperation with stakeholders and a pro-active demand, IAPMEI succeeds in involving the participation of SMEs and stakeholders committed to sharing good practices resulting in higher levels of competitiveness and entrepreneurship. Throughout the nine editions of the EEPA, IAPMEI has distinguished approximately one hundred projects in Portugal. Hundreds of projects competed in the 2015 national competitions for a chance to represent their country in the European Enterprise Promotion Awards; 19 projects have now been shortlisted. A record number of 32 countries entered the Awards this year with the most popular category being “Promoting the Entrepreneurial Spirit”. This year’s jury was made up of members of the outgoing Latvian Presidency of the Council of the European Union and the current Luxembourg Presidency along with representatives from the European Commission, the Committee of the Regions, business, and academia. Following much deliberation, the jury established a shortlist of 19 nominees in six categories. The winners for each of the categories will be announced at a central event of European SME Week, the SME Assembly in Luxembourg, to which all nominees will be invited. The prestigious Grand Jury Prize winner and special mentions will also be announced at the European Enterprise Promotion Awards ceremony. France: Youth Awareness Week for Female Entrepreneurship sees female entrepreneurs go into schools over the course of the week and put on presentations, talks or forums for young people aged 13–25 about female entrepreneurship and how women can start businesses and find success. The initiative aims to increase young people’s awareness of female entrepreneurship, and how women can start businesses and find success. Over the past three years 816 woman entrepreneurs, 18,000 young participants and more than 250 educational establishments – colleges, secondary schools and higher education institutions – have been involved. Netherlands: ZomerOndernemer allows young people to start their own companies and experience entrepreneurship during their summer holidays. By turning young people into proud business owners, the initiative helps them develop crucial skills as well as stimulate the spirit of entrepreneurship. Launched in 2010, the project has already attracted 265 young people and helped produce 82 companies. United Kingdom: The John Cracknell Youth Enterprise Bank supports the development of an entrepreneurial culture within the City of Hull by engaging young people from the age of 5, allowing them to gain “soft skills” and entrepreneurial experience. The initiative raises awareness of the self-employed option as a pathway post education. It has supported over 350 young people interested in business from across Hull and the East Riding area. 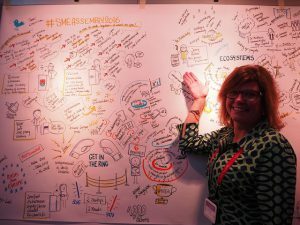 Denmark: The Mobile FabLab is entrepreneurship on wheels, designed to raise awareness on new prototyping technologies and entrepreneurial skill by visiting and facilitating a large number of events, workshops and meet-ups all over Denmark for pre-entrepreneurs, entrepreneurs and SMEs. They have initiated the first mobile FabLab-facility of its kind worldwide, put on more than 60 events reaching almost 28,000 people, 232 SMEs have been through FabLab- counselling and competence development courses and they have facilitated workshops for 1600 students in FabSchool. Ireland: Going for Growth focuses on encouraging female entrepreneurs to be ambitious and supports them to achieve their growth aspirations. 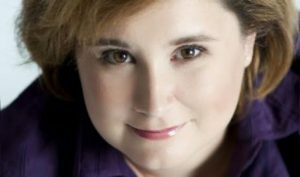 Based on annual cycles, the initiative leverages the volunteer efforts of successful female entrepreneurs. The impact is measured in increased revenues, employment created and first time exporters, as well as in greater ambition, confidence, and a heightened strategic perspective among the participants; to date, over 400 ambitious owner managers have been supported. Organisation website: Going for Growth focuses on encouraging female entrepreneurs to be ambitious and supports them to achieve their growth aspirations. Italy: Alternating Work & School Experience provides students in secondary education with the professional skills required by businesses today, through a range of programmes and work experience opportunities. The initiative aims to ensure the best work experience school programmes are created to benefit the greatest number of students possible in the province. Some of the skills that are developed through the initiative are centred around business innovation, the corporate culture, the development of relevant statistical data, problem solving and marketing and business plan development. Since the initiative has been implemented, there has been a marked improvement for the schools and businesses involved, particularly in terms of skills and knowledge acquired. Croatia: Your Business Friendly Town acts as an accessible and practical example of how new and established entrepreneurs have the opportunity to succeed, by strengthening the capacity of local government. It has opened the doors of domestic and foreign investment to create new jobs, promote entrepreneurship in the local area, and to overcome administrative hurdles by adopting local government as “business partners”. The initiative has successfully increased the number of investors, entrepreneurs and jobs in the Economic zone of Jalševac, doubling the number of jobs in to over 850. Malta: Strengthening the Business Environment through Active Social Dialogue focuses on providing professional management support to SMEs, as well as working to educate the general public on employment-related issues. Due to a series of specialised and focused activities, at least 14% of the SMEs in Malta have been empowered to become increasingly active participants in social dialogue in Malta. United Kingdom: Creative Quarter describes itself as an ‘incubator without walls’, which aims to support creative SMEs to generate prosperity and create jobs. It develops highly-skilled local workforce who are ready to compete with one another to transform The Creative Quarter area in the city to make it a great business location. The initiative has supported over 700 businesses and has created just over 600 jobs. It has also contributed to the development of over 7,500 sq m. of new workspace for SMEs, entrepreneurs and creative businesses. Estonia: GameFounders is a global gaming industry accelerator that aims to support technically strong teams with developing a business model and guidance on product development. 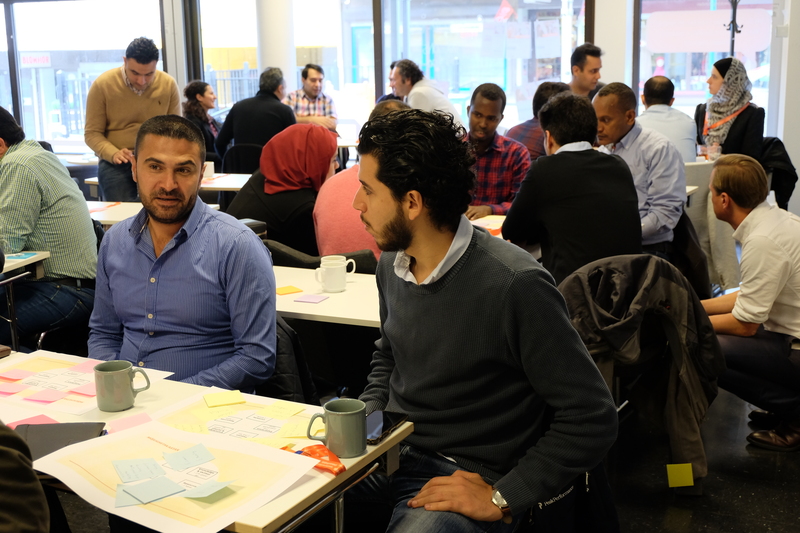 Since its launch, the accelerator has implemented four cycles and has worked with 28 teams from 16 countries. GameFounders has contributed to the increase of Estonian gaming industry start-up numbers. Latvia: TechHub Riga is a major technology and IT co-working space for startup companies. The space was created with a view to bring together like-minded startups that can help each other to successfully develop their projects. The initiative has provided office space for more than 30 technology startups since its creation. More recently, over the past 2 years, 50 businesses have been incubated, as well as several international and local conferences, meetings, and experience sharing events being organised and held each year. Italy: The Temporary Export Manager project provides businesses with the option to employ a junior/trainee member to the team to work in a company in close cooperation with company management in an international marketing position. The project aims to spread a culture of internationalisation among micro businesses and SMEs in the region, thus responding to the need for technical skills required by companies to possess and consolidate their business with those companies located overseas. Throughout the four years, over 150 new university graduates have been inserted in as many companies in the region. Austria: Resource-efficient Industrial Park Liesing works to help coordinate the management of the neighbourhood in the former industrial park of Liesing, ultimately creating a positive identity for the area. Research and advisory activities focus on resource-saving and resource-efficient economies. The initiative has successfully raised awareness of the issue of conserving resources, – both with companies and businesses and the local population – and have committed to the preservation of the industrial park as a site for manufacturing companies and businesses. Luxembourg: SuperDrecksKëscht works to certify waste management concepts of facilities and plants, promotes the consumption of sustainable products and supports the further development of resource-efficient recovery operations. It aims to develop the classical waste management process for the recycling/de-manufacturing industry, and thus, expand and provide support to the environmental technology and services. The initiative has recorded an increase in the number of participating plants implementing ecological waste management, and has contributed to an increase in the sales of sustainable products. Responsible organisation: The Environmental Administration/The Ministry for Sustainable Development and Infrastructures. Spain: Green Business Network is the first networking platform in Spain to specialise in green business. Targeting entrepreneurs and investors, the project seeks to promote entrepreneurship in the environment sector and to encourage sustainable business development. The initiative has already attracted over 7,000 members, including 100 investors and funders. Austria: Business Start-up Programme for the Unemployed works with the Austrian Public Employment Service to provide start up advice, company specific qualifications and livelihood security for the unemployed. It does so through three core services: 1. Start-up advice from a commissioned third-party consulting firm 2. Company-specific qualifications and 3. Livelihood security. Their aim is to support unemployed people in taking up successful and sustainable self-employment. They have achieved a high number of start-ups (in 2014: 5,169 UGP start-ups, of which women accounted for around 40%), very good labour market success and “survival rates”: 64% after 5 years, and additional employment effects: 25% of company founders employ staff. Germany: Enterability is a management consultancy for people with disabilities that provides help before and after starting a business. The overarching goal is to enable people with disabilities to participate in the labour market through targeted counselling and training for self-employment. They provide peer counselling, advice, seminars with specific contents and methods, sign language interpreters and information on accessing loans specifically for disabled people. Greece: Vocational Training & Certification of the unemployed workers of the ship repair industry in the Piraeus area, aimed at reduction of unemployment and recovery of the sector aims to enhance the capabilities of the Chamber of Commerce & Industry by providing a programme that hopes to increase employment levels in the local area. The programme aims to enhance entrepreneurship, mainly in the ship repair sector, and to reduce unemployment by involving those that are unemployed. Of the 1,500 unemployed who participated in the Vocational Training Programme, 867 obtained certification, and 150 gained employment. Portugal: Lisbon Micro Entrepreneurship is a programme working to support responsible and inclusive entrepreneurship, be it through helping to develop business plans, to advising on how best to obtain funding. It was set up in 2013 with the aim of stimulating the city’s economy and supporting company and job creation. The initiative is therefore a part of Lisbon Municipal Council’s (LMC) global strategy to support entrepreneurship, bringing together public, private and local and national bodies with a local focus, enabling anyone to get support for projects in a range of fields, from the planning phase through to the first years of activity. Support comes in the form of help to structure ideas, developing business plans, help with implementing their projects, and obtaining funding. Over 50 companies have been set up, 27 of which have been funded, over 100 jobs have been created, and over 550 meetings have been held with entrepreneurs. Since 2006, the European Enterprise Promotion Awards have rewarded excellence in promoting entrepreneurship and small business at a national, regional and local level. Over 2 800 projects have entered since the awards were launched and in total they have supported the creation of well over 10 000 new companies. 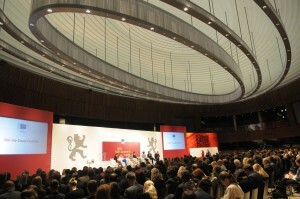 Its objectives are to identify and recognise successful activities and initiatives to promoting enterprise and entrepreneurship, showcasing and sharing examples of best entrepreneurship policies and practices, creating a greater awareness of the role entrepreneurs play in European society and encourage and inspire potential entrepreneurs. For more information on the European Enterprise Promotion Awards, visit the website, follow the Awards on Twitter or visit the official Awards Facebook page. For more information on European SME Week you can visit the website and follow on Twitter. Watch a video of last year’s winner, Start-ups by Mothers with Young Children.